Why did you start making? If you’re like many makers, the reason is typically because the item you wanted didn’t exist in the form you needed. Or if it did exist, the price point wasn’t budget friendly. That’s the case for Connor Nishijima. 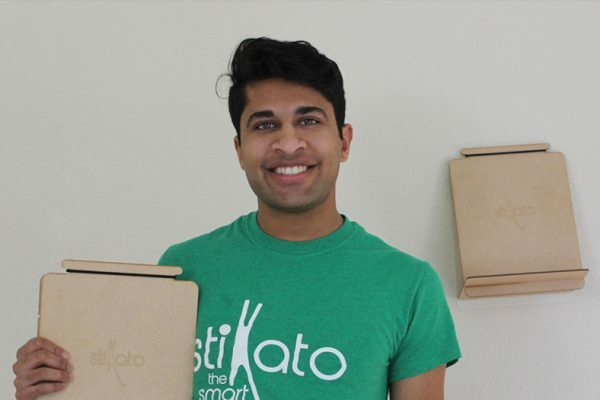 As an engineer, his passion is to solve problems, most of which he confesses are his own. 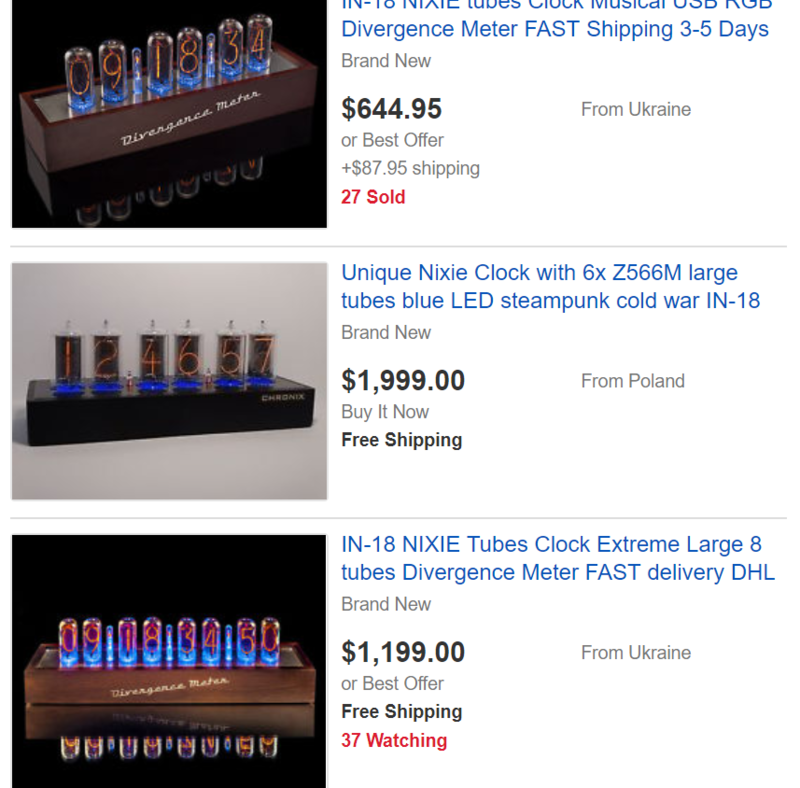 He loves the style and functionality of the Nixie tube clock and wanted to build one of his own, but the price point in today’s market is a deal-breaker. 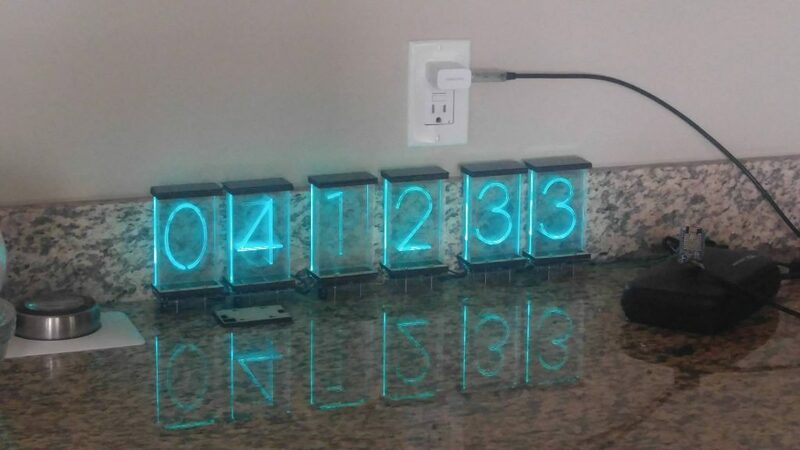 So he began researching how to make a Nixie tube clock, knowing there had to be a DIY digital clock project out there he could customize and make his own. 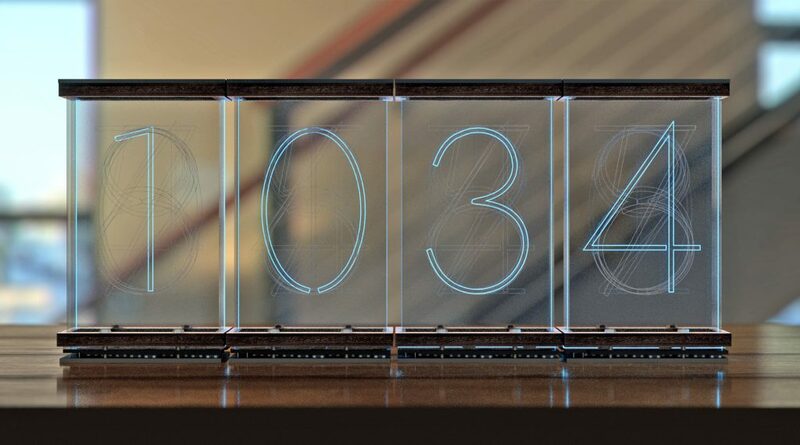 The result is an LED Nixie clock—the Lixie—that incorporates edge lighting acrylic with a wooden base for a fresh take on modern time telling. Connor prides himself in building “some of the best damn numeric displays a hobbyist can buy.” (You can see the video on it here.) And here’s the remarkable part: Through Ponoko’s laser cutting services, he has been able quit his day job and work full time building these displays and selling them worldwide. 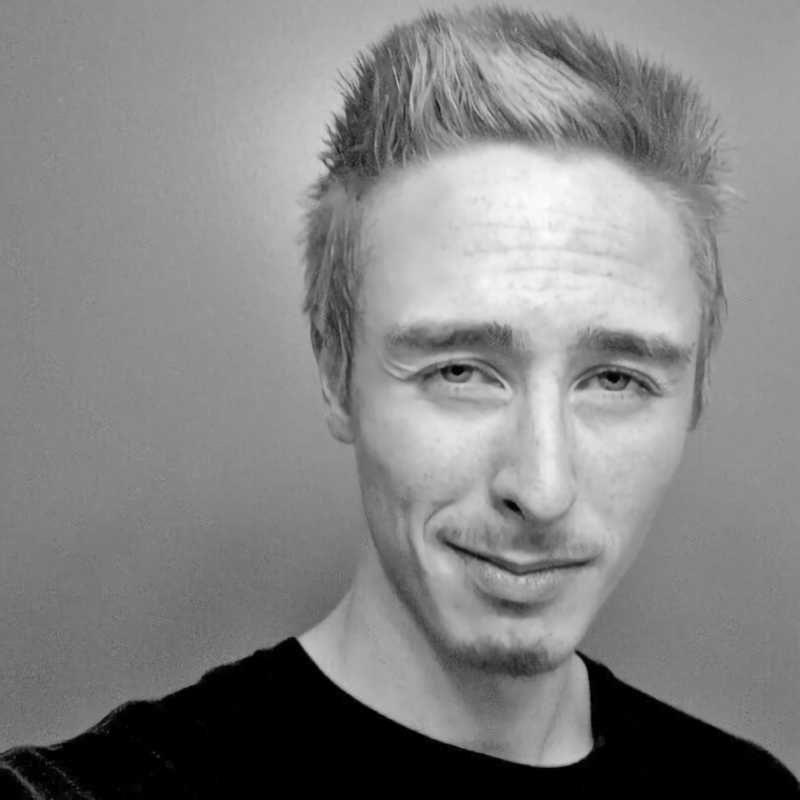 Connor: In 2011, I entered college with an interest in web and graphic design. I really loved to create and share my work with others, including my colleague Andrew Neal. One day, he started talking about this fascinating new “credit-card-sized” computer he got for only $35. An LED lit up on my desk. Ohhhhhh man, I was hooked. I just gained control on the atomic level of this little light bulb, and LEDs have been my sidekick ever since. My crappy code just influenced the real world in a small, but somehow immeasurably huge way. It must have been less than a week before I’d purchased my first Arduino from Adafruit, one that I still use today. I started to learn the simplified C++ to program it and followed my love for lights with two main projects that year: A motion detecting staircase lighting system and a lighted bike vest that can have both brake lights and turn signals to help keep riders safe. Neither were ever finished, but my love for hardware design was growing. I dropped out of college. I loved graphic design, but…hated clients. That type of work just wasn’t for me. So I took up a job with RadioShack to get some “cheap” parts and learn a lot more as I went. Fast-forward seven years, and I now work from home as a software/hardware developer, electronics assembler…and an extremely lucky couch potato. I have the schematic symbol for my old friend the LED proudly tattooed into my forearm and spend my days assembling my Lixie Displays, hanging out with my cat and trying to push common microcontrollers to their absolute limits for some really cool features. What are you currently making with Ponoko? My displays consist of 10 clear panes, each etched with a numeral 0 through 9, held against an array of LEDs to individually light each layer. 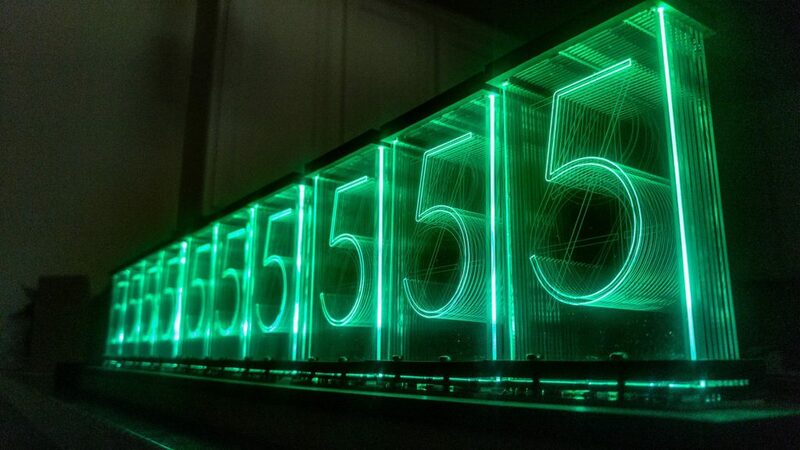 To show a “6,” the Lixie lights the “6” pane with its LEDs underneath. 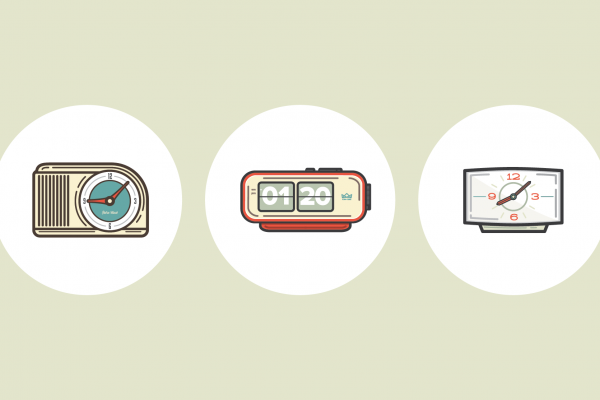 There are huge benefits these displays over their vintage Nixie counterparts. Lixies run at 5V, instead of the neon tube’s 170 volts. Because of this, they’re safe for beginners to tinker with and eliminate the possibility of an unexpected nasty shock for children and pets that may happen to meddle with it. Lixies also have a higher lifespan than an average Nixie tube. Nixies haven’t been manufactured in 25+ years, so every tube left out there is surplus stock. Because of this age, you truly don’t know how long they will work—or if they will work—straight out of the box. Don’t get me wrong; I don’t hate Nixies! I owe my career to them. But I have a bad taste in my mouth after having a digit (which is not socketed and rather soldered right in) in my $300 Nixie clock die less than three months after receiving it. 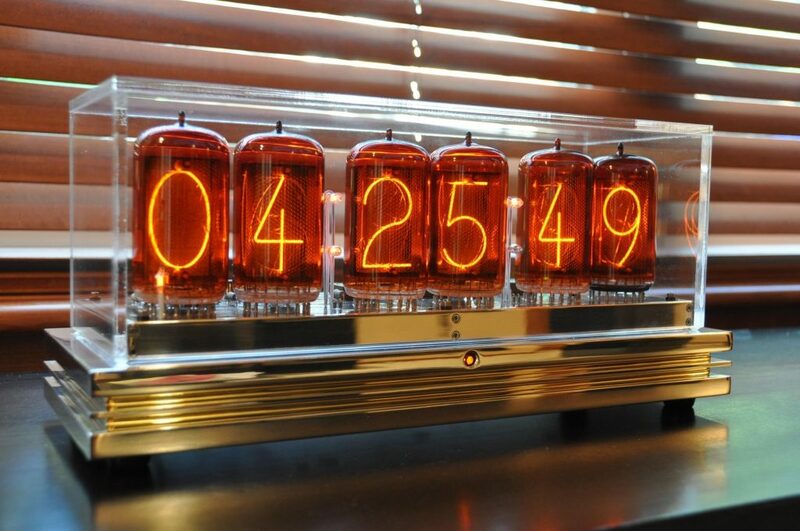 Because of the growing scarcity of Nixie tubes, prices continue to rise. And $300 is the bottom end of the price range for Nixie clocks. If you wanted one larger than your average alarm clock, it’ll have larger tubes like the IN-18 or Z568M. Those clocks run anywhere from $700-$2000 a set depending on the tube rarity and craftsmanship that went into the enclosure. Holy cow that’ expensive! Though Lixies aren’t the cheapest at $38 each, the cost vs. size/functionality, lifespan and vastly reduced part count to drive them can easily make up for that. What’s the inspiration behind your product? Is there a particular problem you want your product to solve? Connor: Back in 2016, I couldn’t afford a Nixie Tube clock. As I mentioned, they were far out of a casual price range. I knew people wanted them, and I knew people had tried to recreate them with things such as EL wire to little success. But after seeing this video, it struck me how I might make this happen. Turns out, it was a very popular solution, with 400+ displays sold in 2017. I had brought a cheaper, safer and more flexible solution to the Nixie tube fans out there. What materials did you choose and why? 6.2mm Birch was chosen for it’s simple color and high compression ability. It’s used as the structural backbone of the display, holding the panes gently but firmly. It’s like a cushion in the build that can easily allow for both a crafty look and friction-fit parts. 1.5mm Black Acrylic is used twice in the design, first as a glossy cap for the display and second in the base as a light filter. To help improve the contrast of the Lixie digits, a specially cut piece of the black acrylic masks out the LEDs to make sure that they only project light into the panes they are aligned to. This almost completely prevents light from spilling from a lit pane into its neighbors. 1.5mm Clear Acrylic is the secret sauce. Acrylic, and specifically a type called Lucite, has an awesome ability to channel light from one end to the other. Lixie uses a light-pipe technique (similar to that in Nintendo Switch), but instead of just carrying the light to the end of the panes, the engraved digits catch the light on its way to the top and scatter it out. The result is a “floating,” glowing number that barely occludes the others in the stack when lit. You can just as clearly see a 6 in front of the stack as you can a 1 at the back. Did you encounter any challenges and how were these overcome? Why was laser cutting your process of choice? 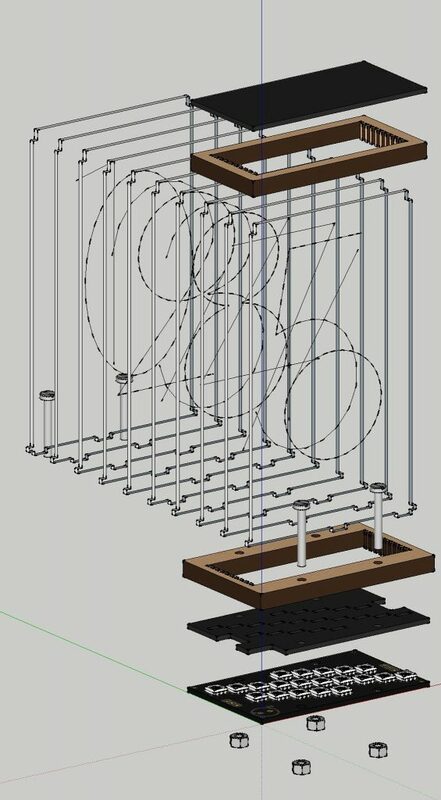 What were problems with other making processes you could have used? Connor: Laser cutting was a no-brainer with the type of lighting I needed the acrylic to accomplish. First of all, light-piping only really works with acrylic, probably due to the molecular structure resulting from the extrusion process. Plastic that is simply injection molded into the same shape will neither carry light along its length the same way nor scatter the light quite the same way as well. In fact, this is quite comforting to me as an open-source developer because I know that Chinese factories would be very unlikely to successfully clone my display if they ever took interest. Injection molded plastic wouldn’t work, and laser cutting would be far too inefficient for their desired volume. 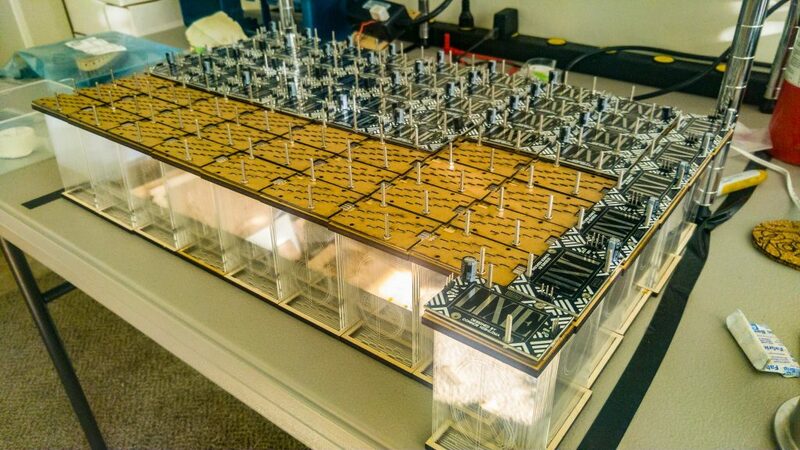 What led you to use Ponoko (instead of other options) and what keeps you coming back? By far, I was initially attracted to the materials selection. Can I get acrylic engraved by dozen different companies? Oh yeah. Is it in the thickness I need? Probably not. The color I want? That’s a stretch. Can I get plastic, felt, wood, paper, leather, rubber, and metal engraved at once in the same order? I can if I use Ponoko. I regularly check the materials page for new additions. Some product designs simply spawned out of inspiration while looking at the materials catalog. As of this writing, there are more than 130 materials to choose from, many of which have different thicknesses available too, giving me close to 200 options. Ben & Jerry’s has nothing on Ponoko. Of course, pricing was also at the forefront of the decision. 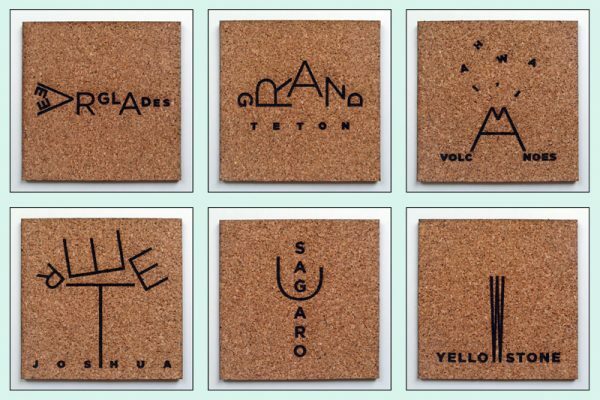 Ponoko owns the laser cutting game, and one of the biggest reasons I say that is because of the instant quotation. It’s fast, detailed and obviously very innovative. It helps vastly in the prototyping process to monitor changes in cost from one revision to the next. What-you-see-is-what-you-get quotes on the spot have helped immensely in my prototyping. 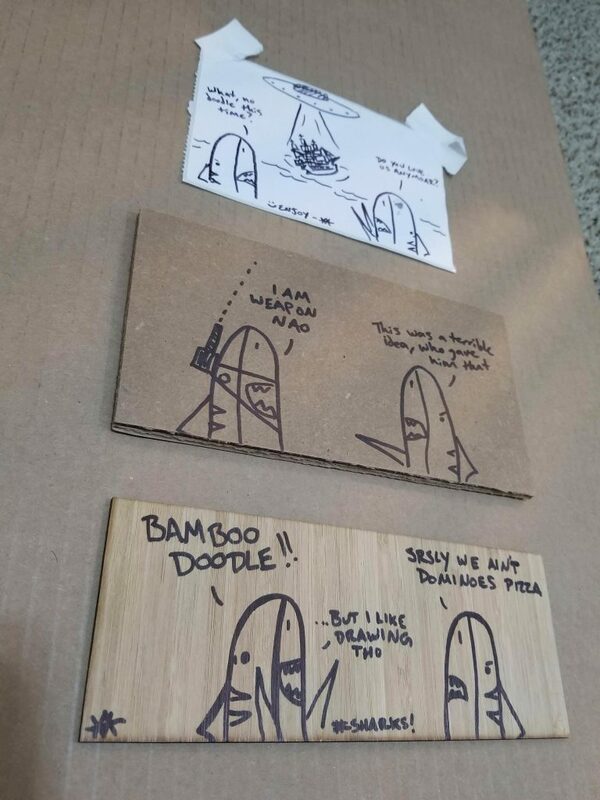 For that first Ponoko order, I requested to have a “cool doodle” included—and I was not disappointed. Though I sadly don’t have a photo of it, I received a drawing of the “Party-dactyl” on my “Yippee”-labeled Ponoko box. It was a pterodactyl sporting shades and rocking a boombox on its shoulder. I was hooked. But the aforementioned doodles have embodied the creative and friendly nature of Ponoko and have become a staple of why I’ll be strongly continuing my loyalty. Vivi is an employee I’d otherwise have no idea existed, and this personal connection formed by being able to submit such a silly request and have it fulfilled without fail has made a huge difference as a customer. Does Papa John’s deliver pizzas without dough when asked? No. Do Alibaba suppliers send a sample unit of a single nut overnight for free? Still never happened. But can I get a happy little drawing of some snarky sharks whenever I need a pick-me-up? You’re damn right I can. Ponoko has it covered. 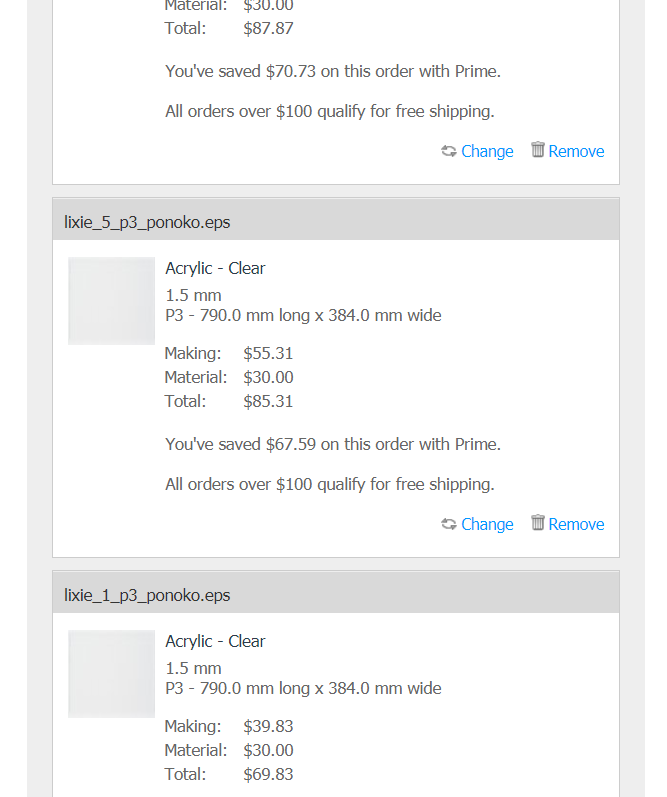 What are the two most important cost-saving tips you learned using Ponoko? I order Lixie numerals on their own sheets; 0’s have a sheet, 1’s have a sheet, and so on. Ordering three sheets of zeroes, I would have been charged $158. And mind you, there are still nine other numerals in a Lixie, each having three sheets at about the same cost. This would total approximately $1,580 worth of digits. And 30 P3 sheets of acrylic isn’t light, either. It’s about 40 pounds, and to ship that would cost even more. Here’s where Prime comes in. 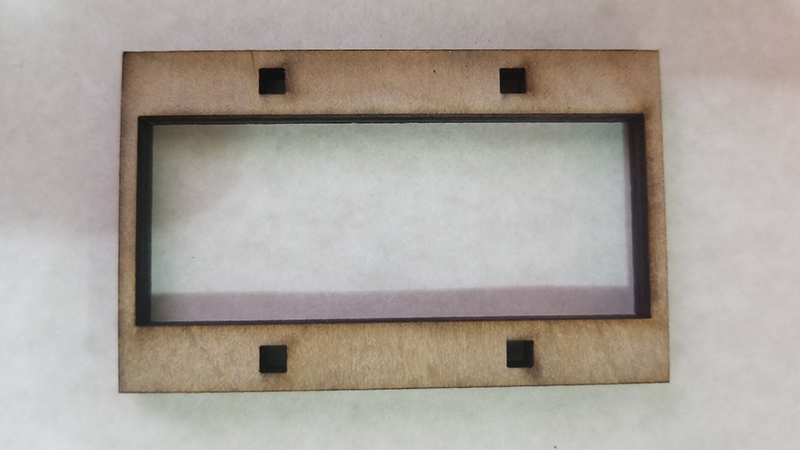 Instead of incurring a $2.00 per minute laser cutting cost, which is still inexpensive, I get a price down to around $0.90 per minute. This brings that same bulk order down to approximately $878, saving more than SEVEN HUNDRED DOLLARS in that order alone. In other words: I just saved enough in that one order to pre-pay 17.5 months of Prime. Not so expensive now! In addition to saving all that money, I also receive free UPS ground shipping on orders more than $100, which is almost all of mine. That 40 pounds of plastic gets here fast—and free! Beyond the benefits of Prime, I would recommend spending a few hours with each design, uploading revision after revision and seeing what tips the pricing scale in your direction. The smallest change can make a huge difference. For example, Lixies originally shipped with round holes for the mounting screws. Due to the nature of CNC/laser cutter gantries, they have to slow down on curves to keep their accuracy. Slowing down means more laser time, and a higher final cost. By switching to square holes (which are hidden by the screws after assembly anyway) a few months back, I’ve saved a few hundred dollars over time given that there are 428 screw holes in a single “Lixie Base” sheet! 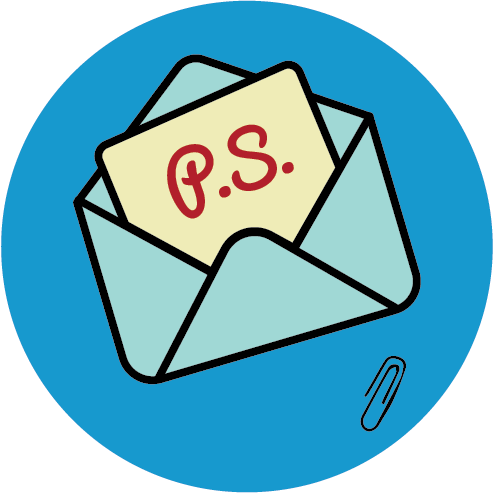 What advice, laser cutting or otherwise, do you have for other makers? Connor: My advice is to design products that solve your own daily problems. Keep an eye out for them. If your problem is “one in a thousand,” this means that more than seven MILLION other people on Earth desire a solution you can provide. 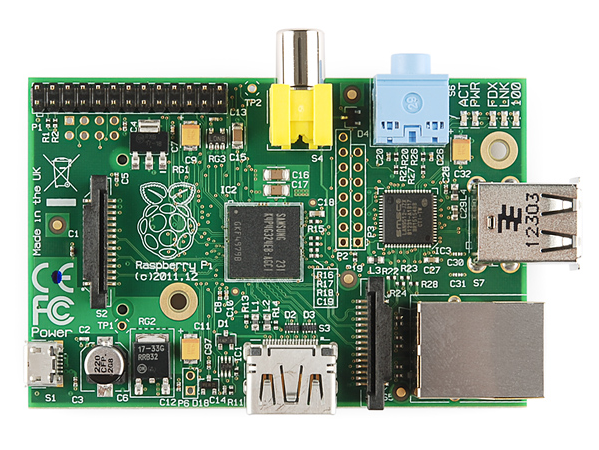 If you want to learn more, visit the Lixie Labs product page and check out the open-source software as well as the open-source hardware. And if you want to see what it’s like when a Ponoko order arrives, watch Connor’s unboxing video here. Definitely room for both! Some people (including myself) still want real Nixies sometimes. I’m actually quite jealous of Dalibor’s workshop, I’ll admit I don’t have one nearly as spotless!